Should Ear Protection be a Legal Requirement? A lot of people are of the opinion that health and safety has “gone mad” these days and that people walking around with high-visibility clothing and clipboards are taking the fun out of our daily (personal and professional) lives by making sure that risks are avoided, no matter how small. As an employer, you often have legal requirements as to what you need to provide your employees with in terms of protective equipment, such as hard hats, high visibility clothing and gloves to make sure that if something does go wrong, your staff are protected. However, a lot of industries don’t have this equipment as legal requirements, merely recommendations or acts of good will towards their employees and a lot of people have been contacting specialists for advice on how to receive treatment for conditions they’ve picked up at work – in this example, with their hearing. In many professions, employees resort to taking their own protective equipment into the workplace to give themselves greater protection when working with particular machinery or materials, raising the question about whether certain forms of equipment should be made legal requirements. It’s all well and good from an employer’s perspective trying to reduce noise levels in the work place by investing in equipment that is quieter than what you have at present, or installing sound-reducing insulation that will reduce the impact of the noises; but employees are still at risk by being so close to the machinery or tools. 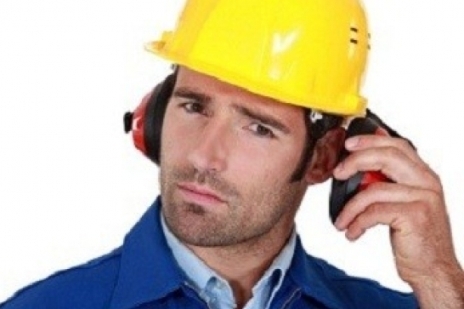 There are a number of items available to try and combat loud noises in the workplace, and it should be the case that employers offer you a choice of protection to try and reduce the impact. If the employee makes a request for protection against the noise levels in the workplace, it is currently a legal requirement for the employer to provide it for them which begs the question – why is it not a legal requirement already? If employees are having to ask for protection it is because they have identified a risk to their health or well-being, and this is something that the employer should also be able to see. It could take days, even weeks to organize the requested protective equipment – such as ear defenders – by which time something could have already happened to the employee. This is all the evidence that is necessary, that ear protection within certain industries, such as manufacturing and processing, should be a legal requirement that are worn at all times when working in and around certain machines or equipment.